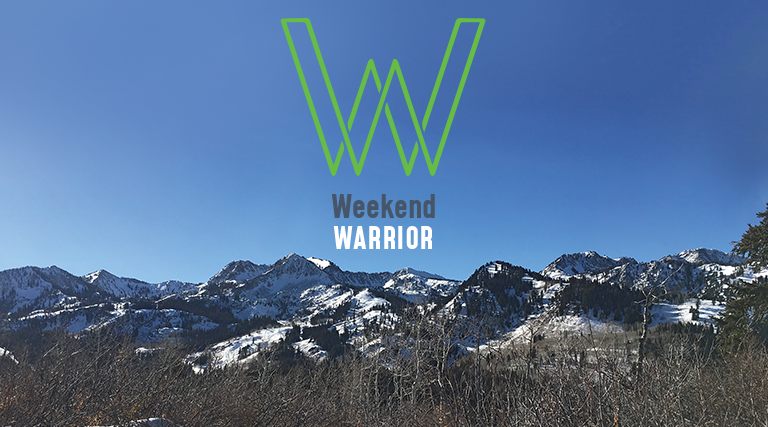 The Wasatch Range rises in the east and dominates the landscape of the Salt Lake Valley. Beneath its granite peaks are seven canyons beckoning residents of Utah’s largest city to come out and play, to drink in the dramatic vistas, alpine scenery and outdoor adventures that are unique to each canyon. The mountains might tower above our valley, but we live out our dreams in the canyons. Utahns like to tout the fact that 10 of our ski resorts are within an hour’s drive of Salt Lake City International Airport, but it takes even less time to access a breathtaking canyon on either side of Salt Lake Valley, each bursting with beautiful views and extraordinary outdoor activities. Here are some ways to immerse yourself in four local canyons in four days. 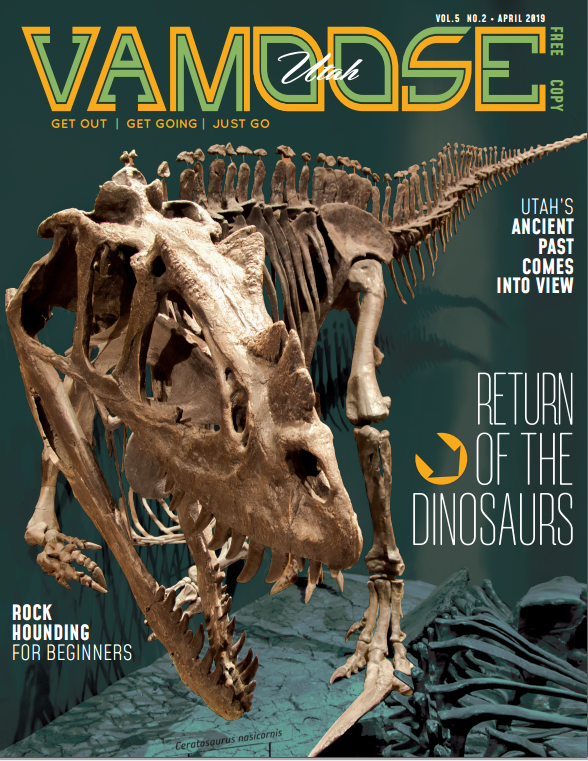 Start your canyons weekend on Thursday afternoon at the mouth of Emigration Canyon to learn about the first settlers to come through the canyons at This Is the Place Heritage Park (2601 E. Sunnyside Ave., SLC, 801-582-1847, ThisIsThePlace.org). Brigham Young came to Emigration Canyon on July 24, 1847, looked out over a desert valley that had only one tree and announced, “This is the place.” The pioneers turned to the canyons to get water, lumber and even the quartz monzonite to build the Salt Lake Temple. Find out more about the role that the canyons played in building Salt Lake City while touring through an entire village of pioneer-era buildings. After leaving the park, continue up the canyon to the singular Ruth’s Diner (4160 Emigration Canyon Road, SLC, 801-582-5807, RuthsDiner.com). Ruth’s dates back to 1930 and is one of those places that makes the very short list of, “You haven’t really lived in Salt Lake until you’ve eaten at [fill in the blank]. The best-known dish is the meatloaf, but don’t be afraid to check out the excellent burgers and killer Reuben sandwich. Since Emigration Canyon has no hotels, consider a staycation at one of many hotels in the valley close to the canyons. Maybe try something new and unique such as Castle Creek Inn (7391 S. Creek Road, Sandy, 801-567-9437, CastleCreekBB.com), which lives up to its name as a fortress. Whether you stay in one of the turrets or another area of the royal property, you’ll have a jetted tub, complimentary online movies and all-night access to the fully-stocked snack bar in the Grand Dining Hall. That’s also where you’ll find yourself on Friday morning for full breakfast service. Hop on Interstate 215 and then I-80 to arrive at a Utah destination known worldwide. 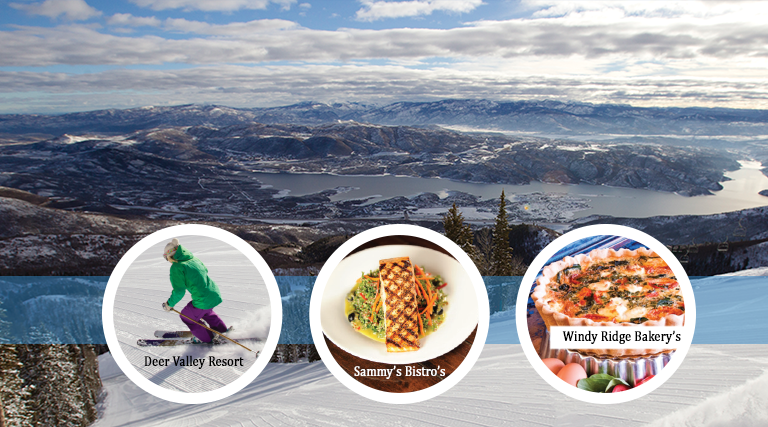 Park City has a variety of winter activities, capped by Deer Valley and Park City Mountain resorts. Deer Valley (2250 Deer Valley Drive South, Park City, 435-649-1000, DeerValley.com) continues to be one of America’s premiere ski destinations with 21 lifts serving more than 2,000 skiable acres. What’s new this year is that it has joined the Ikon Pass group (IkonPass.com). Buyers of the pass can get a set amount of days at Deer Valley along with 37 other destinations. With more than 7,000 acres, Park City Mountain (1345 Lowell Ave., Park City, 435-649-8111, ParkCityMountain.com) is the largest ski area in the United States. Since PCM is part of the Vail Mountain Resorts family, skiers and boarders might want to check out the Epic and Epic Local passes that give them access to Vail properties in North America, Europe and Hakuba Valley, Japan. After a day on the slopes, it’s time for comfort food in a casual eatery away from the activity of the resorts and Main Street. Sammy’s Bistro (1890 Bonanza Drive, Ste. 100, Park City, 435-214-7570, SammysBistro.com) fits the bill. Both its savory chicken bowl and the “Chivito” club sandwich (pork tenderloin sandwich) earned Guy Fieri’s approval on Diners, Drive-Ins and Dives but also consider the pulled-pork nachos, mahi-mahi tacos and quinoa salmon salad. For dessert, and for more local flavor, swing by Windy Ridge Bakery (1750 Iron Horse Drive, Park City, 435-647-2906, WindyRidgeBakery.com). Since it’s only open until 6 p.m. most evenings, you might want to stop there before dinner to pick up dessert to take back to the hotel. Whether it’s sour and black cherry pie, lemon poppyseed cake with blackberries or seasonal fresh-fruit tarts, everyone will be able to find something they like. Park City has an abundance of hotel options, with the newest entry being Hyatt Place (4377 N. Highway 224, Park City, 435-776-1234, Hyatt.com) near Utah Olympic Park. If hotel chains aren’t your style, consider the Torchlight Inn Bed & Breakfast (255 Deer Valley Drive, Park City, 435-612 0345, TorchlightInn.com), located in the middle of Old Town Park City. The inn’s gourmet breakfast—featuring fruit-stuffed baked French toast with creme fraiche, corned beef hash with farm fresh eggs, buckwheat pancakes with Utah peach compote and more—will send you off to the slopes in good form. It takes about 30 minutes to get from Park City to the mouths of the Cottonwood canyons, and from there it’s another 15 minutes to the resorts, depending on snow and traffic. There are two options: Big and Little, and the good news is you can’t lose with either choice. 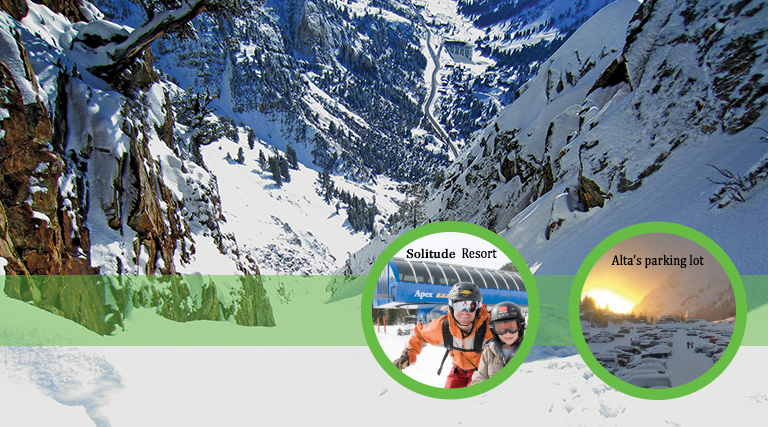 The signature tram line at Snowbird Resort (9385 S. Snowbird Center Drive, Snowbird, 801-933-2222, Snowbird.com) is also a way to let the nonskier or boarder in your party enjoy the winter wonderland. 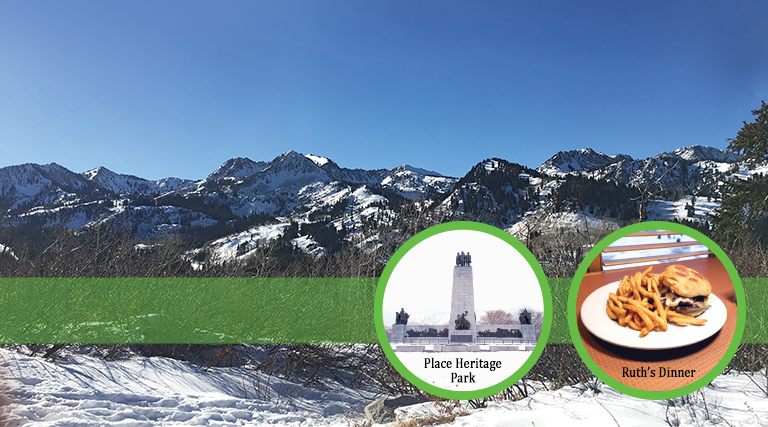 The Snowbird property also comes complete with a pedestrian village and multiple lodging and dining options that make it a great place to stay on a cold night. Snowbird’s Cliff Lodge (801-933-2222) has become justifiably well known throughout the years as a place to rest after a day on the slopes. Guests can opt for one of 30 different treatments at the Cliff Spa or hop in the heated outdoor rooftop pool and three hot tubs open year-round. For dinner, The Aerie (801-933-2160) on the Cliff Lodge’s 10th floor features a fireplace, live music and a wine selection that you can sort through on an iPad. The dinner menu is highlighted by house-smoked trout cakes, cornflake-and-pistachio encrusted chicken and elk meatloaf. If you choose Big Cottonwood Canyon, you’ll be on the road to Solitude and Brighton. 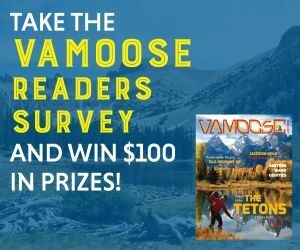 Ski Magazine recently referred to Solitude Mountain Resort (12000 Big Cottonwood Canyon Road, Solitude, 801-534-1400, SolitudeMountain.com) as, “The best best-kept secret of the Cottonwoods.” Solitude likes it that way, since it prides itself on its laid-back atmosphere. At Brighton (8302 S. Brighton Loop Road, Brighton, 801-532-4731, BrightonResort.com), they emphasize, “It’s all about the snow,” and the numbers reflect that. Sixty-six runs are spread out over 1,050 acres of terrain accessed by six chair lifts, and skiers can drop nearly 2,000 vertical feet from top to bottom as they glide through more than 500 inches of annual snow fall. You can make a night of it in Big Cottonwood Canyon at Silver Fork Lodge and Restaurant (11332 Big Cottonwood Canyon Road, Brighton, 801-533-9977, SilverForkLodge.com) Located just three miles from Brighton, the lodge’s free shuttle runs back and forth between the properties. Open since 1947, the lodge’s seven guest rooms will take you back to a simpler time since you’ll find no telephones or TVs in them. You’re also just steps from the restaurant where the dinner menu features naturally tender, melt-in-your-mouth Piedmontese steak. Breakfast is complimentary, so on Sunday morning, you’ll want a plate of Silver Fork sourdough cakes, made from an extra sharp sourdough starter that’s been at the restaurant for more than 50 years. Finish off your weekend by leaving the Cottonwood canyons and traveling north on Interstate 215 before exiting at 3900 South. Head north and turn up Millcreek Canyon Road. Millcreek Canyon (SLCO.org/parks/millcreek-canyon) is jointly managed by Salt Lake County and the U.S. Forest Service and is known for its cross-country ski (and snow-shoe) trails (see “Millcreek Magic,” p. 14). There is a $3 cost per vehicle per day. Five miles up the canyon, the road is closed to vehicles from Nov. 1 through July 1 at the Maple Grove trailhead. The closed section of the canyon road is then groomed for both skate and classic ski tracks. For those in seach of an overnight adventure, the Big Water Yurt at the end of the canyon road—four and a half miles beyond the winter gate—can be reserved through Salt Lake County from December to April. 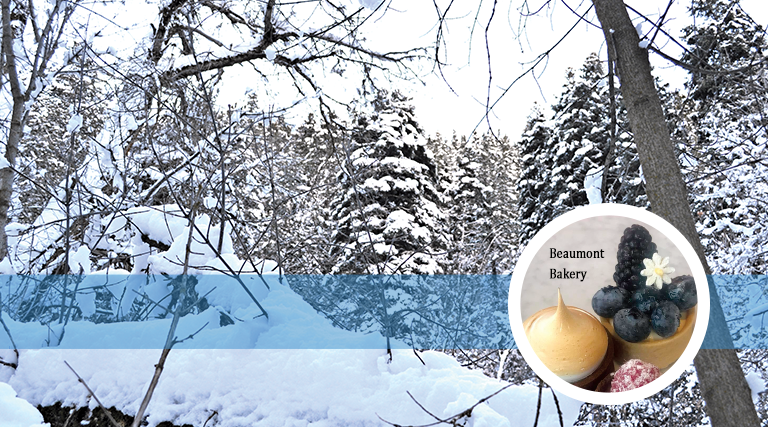 After a morning of burning calories in the canyon, you’ll want to stop in at the new Beaumont Bakery (3979 S. Wasatch Blvd., Millcreek, 801-676-9340), open til 3 p.m. on Sundays. Enjoy breakfast and lunch with a mountain view, plus to-die-for pastries and croissants. Try the baked French toast or the turkey and avocado sandwich on toasted cranberry spice bread. Whether it’s recreating or relaxing, the canyons surrounding the Salt Lake Valley are nature’s cathedrals, places we go to commune with nature where we experience rejuvenation. Find your own canyon and let it revive your spirits.